*That put 222 of the new vehicles onto our roads. LAST YEAR SAW a spike of more than 400% in the number of people buying electric cars in Ireland. Despite this, new CSO figures issued today show the cars are still quite a way off being a major part of the Irish market. The 12 months between January and December saw 222 of the vehicles sold – substantial growth on the 51 sold in 2013, but well below the 13,929 petrol cars sold and the 47,559 diesel cars sold. Last year saw the highest number of new cars on Irish roads in seven years. There was an increase of 29.5% on 2013 – with the overall number of new vehicles licenced hitting 92,361. There was also a spike in the number of used cars licenced last year – with the figure of 52,863 the highest since 2008. The increase from 2013 was more modest, at 6.2%. In total, there were 187,920 vehicles licensed in 2014 – a year-on-year increase of 14.6%. It is notable that growth between 2013 and 2014 may have been even higher – but for 2013 figures having been inflated by the introduction of the Non-Use of Motor Vehicles Act 2013. The most popular make of new car sold in Ireland last year was the Volkswagen, selling 11,329 vehicles and holding onto its top position from 2013. It was followed by Toyota, Ford and Hyundai, who sold a total of 9,658, 9,040 and 7,410 vehicles respectively. The most popular make of used car sold in Ireland last year was the Ford, selling 9,040. Email “Sales of electric cars in Ireland were up 400% last year* ”. 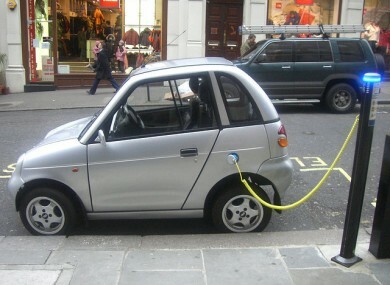 Feedback on “Sales of electric cars in Ireland were up 400% last year* ”.